As I mentioned, in my review of Soap Crafting , it's really easy to get enthused about books about soap making by the Soap Queen. In fact, when I got this in the mail well.. I might have completely lost my cool and acted like a kid on Christmas morning who got just what they always wanted. First- this is a gorgeous book. Hardcover over a wire binding, so it will look good on your bookshelf, and lay flat when you're working from it. The inside is beautiful too. Lots of great color photos of both the finish products and the steps to make them. 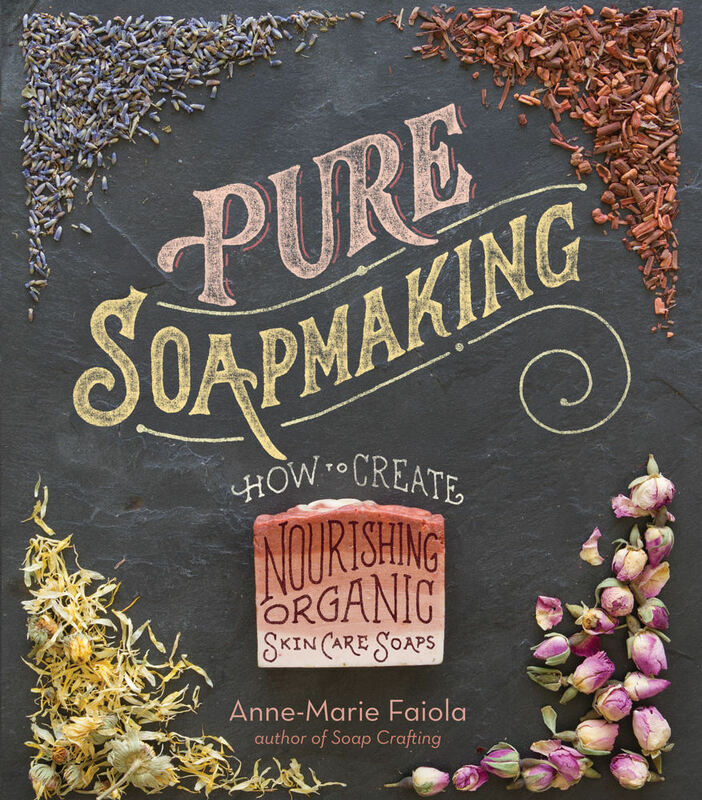 But that's not what makes this book pure gold for anyone interested in soap making. This is the Soap Queen. She runs one of the best blogs and shops for soap supplies, this is her whole profession and life. The science and art of soap making. In that fantastic introduction, one of my favorite things was the exploration of colorants which had fresh and old bars of soaps that used various colorants and showed how they faded or muddied. My other favorite part is the step by step introduction to cold process soap making which includes a simple recipe for a lemongrass scented soap. Every step is written out clearly and concisely by someone who has taught soapmaking and knows all the questions you might have. The first chapter of recipes is Pure Simplicity soaps. This starts with very simple, straight-forward recipes including a pure castile soap, then starts adding additives like oatmeal, then a two-color soap, after that, swirls and piped whipped soap. As you work through this chapter, you'll learn a lot about what you can do with soap. Favorite in this chapter- the honeycomb soap for it's clever texture and fantastic ingredients. These soaps are gorgeous. Just as nourishing as the soaps in Pure Simplicity, but they are fancier, require more steps, and will impress the heck out of anyone you give them to if you're making them as gifts. This includes layered soaps, beautiful ring effects, embedding soap with soap for a specific look and other effects. It also has a lot more ingredients that provide a wonderful decorative look, scent and feel such as coffee grounds to provide extra scrubbing power for gardener's hands or tomato paste (!) in a soap full of rich oils with a peppermint scent. Favorite in this chapter- The coffee swirl soap, because it's beautiful and it's coffee! Anne-Marie does this incredible thing where she creates these works of art in soap form, and can actually explain how she did it in a clear, non-scary way that makes you think "Oh! I can do this!" and she's wild for color. If you got Soap Crafting, you got to see that. This chapter has swirls, layers, embeds, funnel pours create rings, or in the case of the negative funnel pour soap, big beautiful spots, It ends with a yin-yang symbol soap. The best thing about this chapter is the step by step detailed photos which take the guess work out of it so you can focus on the joy of it. 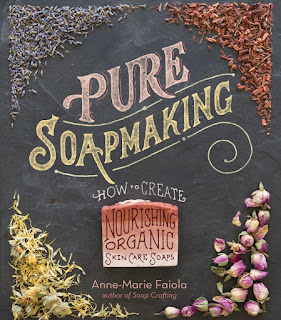 Just an absolutely beautiful book and an essential one if you plan to get into soapmaking or if you want to take your soapmaking to the next level. Like Soapqueen on Facebook - lots of tutorials and recipes!